A sliding throw rug is one of my pet peeves. I have tried those rubber liners, that you put under the rug, but they don’t work well or very long. I came up with two solutions. 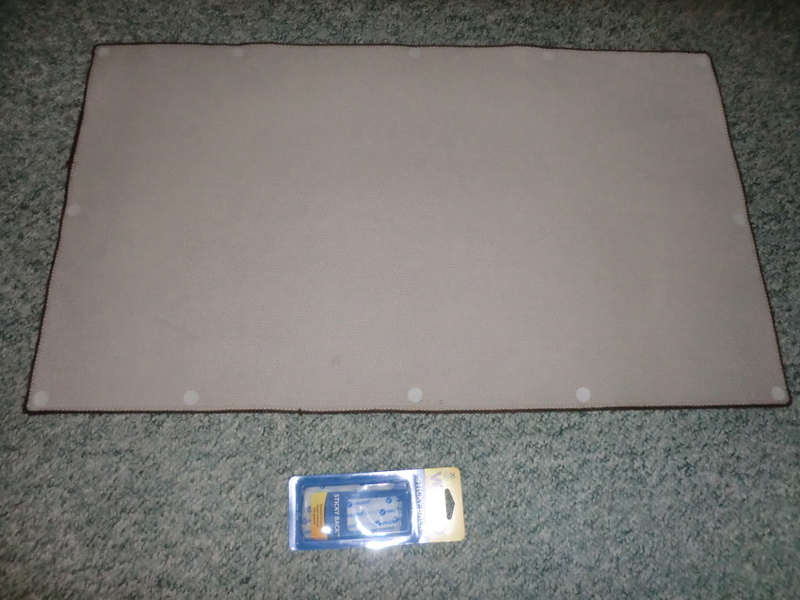 I attached several “Velcro” dots, the hook side, to the underside of my throw rug. 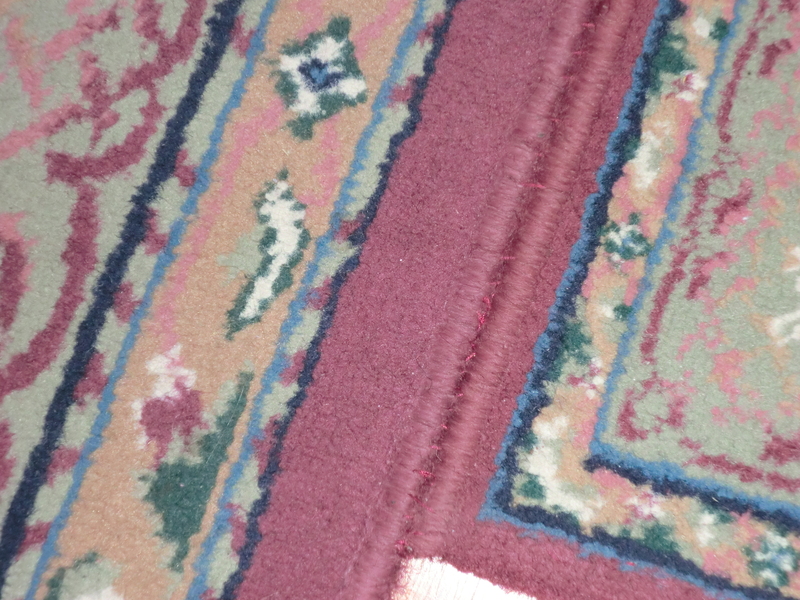 The hook catches the loops of the carpet. 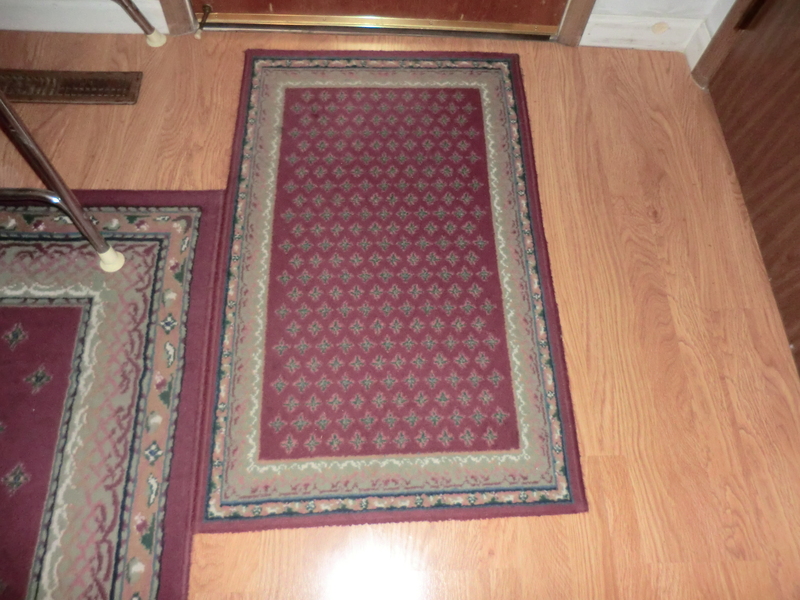 I have a small throw rug that I wanted by the back door, next to a matching 5’ X 8’ rug. I got out my upholstery needle and sewed them together with matching thread. Throw rug sewed to a 5′ X 8′ rug. If all else fails, I try to anchor the rug under a piece of furniture. This entry was posted in Decorating, Make It and tagged Decorating, Make It by Frugal Fish. Bookmark the permalink.